The Marin County Office of Emergency Services, a division of the Marin County Sheriff's Office, including The Disaster Preparedness Committee and Disaster Council of the County of Marin. Story coming. (l-r standing) Chief Kenny Kamp, Kentfield FPD; _______; ______; _______; _______; Captain Jerry Recor, Sausalito FD; Chief Mike Meszaros, Inverness FD; Senior Captain Pete Martin, Marin County FD; Marj Stone/ Volunteer Center/Point Reyes Disaster Council; Gay Anne Lathrop, West Marin Volunteer Center; Peter Svirsky, Point Reyes Disaster Council. Front kneeling, holding board - Bill Doyle, Marin County OES. Photo by Tom Forster, taken at Caretakers Building at Skywalker Ranch. 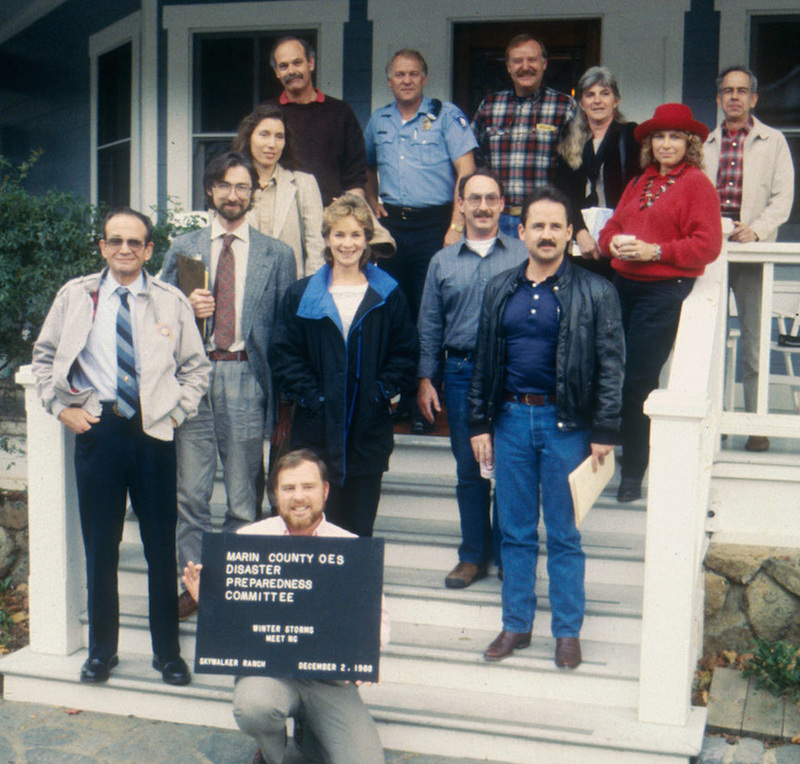 Winter Storms Planning Meeting, December 2, 1988.